Altimeter use static port to measure barometric pressure on which plane fly..
Static port is located on fuselage,prependicular to airflow. Faster the plane is flying ,faster the airflow over static port,so from bernoulli , pressure over static port must decrease when plane going faster and faster.. Flying in straight line(2000feet) 150km/h, now stay on same altitude and increase speed to 400km/h. Will altimeter show higer altitude ,because speed of airflow over static port is higher so form bernoulli pressure must drop? No, it’s designed to be in a calm flow of air to measure static pressure. In some installations there’s some error in the indicated and corrected, either by a chart or by electronics, to show calibrated airspeed. The point of a static port is that it is placed in a location of neutral, or static pressure. The static port is located in a place where variations in pressure are minimized, and placed on opposite sides of the aircraft to average the pressure between them. Altimeters and airspeed indications in transport category aircraft are compensated or adjusted by flight data computers. There are several kinds of airspeed to consider. EAS (equivalent airspeed), TAS (true airspeed), CAS (calibrated airspeed), IAS (indicated airspeed. There are several kinds of altimetry to consider, depending on management of the altimeter setting, and then there is compensation for the altimeter based on temperature. Angle of attack, sideslip, airspeed, configuration, ground effect, dynamic maneuvers . . . it all screws it up. If those don't help, one of the references at the back will. 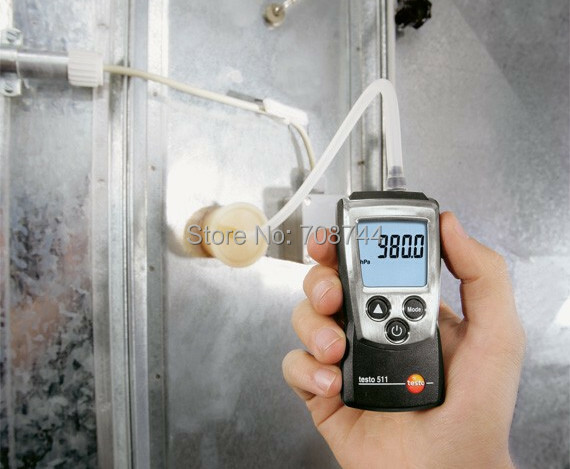 Here write ,zero static pressure error is when pressure is the same as freestream pressure. Position 1 is zero static pressure error,infront nose of plane air is moving at same speed plane fly,so how this pressure can be the same like when air is at rest? Bernoulli said moving air has allways lower pressure then air at rest? Barometer must sense air at rest if want to know correct altitude..
Airflow is allways moving over static port ,even when airflow speed is identical as freestream, the air is still moving over port,so how altimeter can show correct altitude???? "Location 1 in figure 3 also has zero static pressure error. A noseboom can be used to place a static-pressure source toward this region. Structural considerations prevent a noseboom from being long enough to have identically zero static pressure error. Some static pressure errors remain and need to be calibrated. 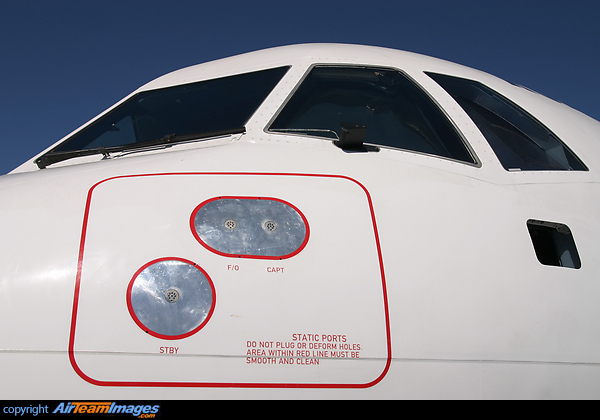 Some nosebooms and pitot-static probes have contours designed to compensate the measured static pressure for the position error induced by the specific airplane (or probe for a supersonic noseboom) (ref. 2)." Neutral location compare to which pressure, static pressure of air at rest(true static pressure) or static pressure of freestream airflow at 800 km/h (aircraft speed)? 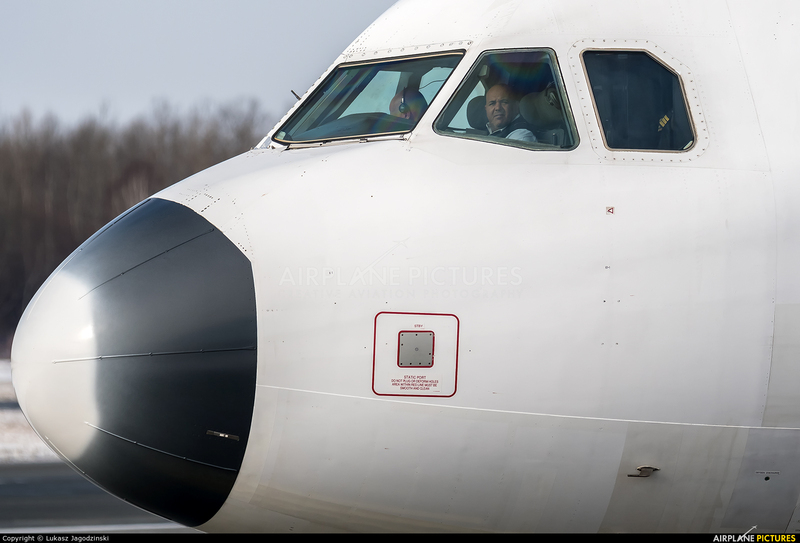 If static port is located on true static pressure then must be located on place where airflow speed is zero,but that is not case in any aircraft..
Look at this pictures of static ports ,for sure airflow here is very very fast maybe faster then aircraft speed(>800km/h),because nose is curved. So how can static port feel true static pressure,which exist at given altitude if air over static port is moving >800km/h ? I still dont get it why altimeter do not show higer altitude when aircraft going faster and faster? The static port must be located in a place where static pressure is neutral, where there is minimal pressure variation. You are making a wrong assumption. You assume that there will be a pressure drop on every point on the aircraft with an increase in airflow. This is not the case. It's also why I provided you with the link to the previous thread, in which additional explanation is given, along with pictures, so you can see. not every point on the aircraft experiences the same airflow. As airspeed increases, some points have higher pressure, some lower, some neutral, and it is in these neutral locations where static ports are ideally located. I had an explosive depressurization involving a forward windscreen that blew out in the cockpit. One would think that in such a case, there would be significant ram-air pressurizing the cockpit from the slipstream. One would think that there would be wind in the face, so to speak. This was not true in this case. In fact, I was able to place my hand outside the cockpit, beyond the point where the windscreen had been, into what felt much like stagnant airflow. At the time, I found that quite surprising and not at all what I'd expected. There are points on the airframe with reverse airflow, and there are areas with enough acceleration of airflow that those portions will exceed mach while the rest of the airframe is well below M1 1.0. (Behind the supernal upper deck area on the 747 Classic, one could hear the popping and snapping of the airflow at higher mach numbers, and while the airframe was transonic, certain areas were experiencing airflow in excess of mach 1. Usually we didn't fly that fast, but on occasion, and it was interesting to note. Airspeed and altitude indications, as I observed before, are compensated by flight data computers. A standby altimeter is often installed as a simple barometric altimeter, and it's not uncommon in such an installation to have a difference between the standby altimeter and the primary altimeters of several hundred feet. That error has been compensated with the primary altimeters, which take into account multiple factors, use all the air data sensors, and apply corrections to airspeed and to the altimetry. They also provide instant reading vertical speed indications. As the airplane flies at higher altitudes, the indicated airspeed becomes less of a reference, and the mach number (compressibility) becomes more important. It's used to set speed and also to determine margins from buffet; the place where aerodynamic effects of air being compressed by the airframe or ahead of the wing and airframe, can occur. There eventually comes an altitude when the stall buffet boundary, or low speed limit, and the mach buffet boundary, or high speed limit, come together; a place called "coffin corner," and a place where most airliners can't reach unless pushed well above their optimum altitude. Most simply lack the power to get there at all. When the aircraft is above approximately 27,000 feet above sea level, or "flight level 270", there is a "transition" when indicated airspeed in knots becomes replaced with airspeed measured in a decimal percentage of Mach 1.0. Typically cruising is done at .76 to .85 M1. The airspeed and altimetry are compensated in this flight regime, and at all times, by the ADC or air data computer (and in some cases by other information and/or systems). When above this altitude, when flying a mach number, indicated airspeed will be very low. The higher one goes, the more the indicated airspeed will drop, even though one continues to fly faster and faster in terms of true airspeed (or in still air, in terms of groundspeed). One way to think of it is that with lower air pressure at altitude and less dense air, there's not as much ram air pressure entering pitot tubes and air data sensors. Consequently while the airplane may be actually traveling faster and faster, the indicated airspeed gets less and less. You can transfer that line of thinking to your question regarding an increase in static pressure. While the static ports are placed in a location of neutral static pressure rise, and airspeed variations have minimal or no impact on the static pressure (because of the location of the static ports), when going higher and higher, there's actually less of an issue with Bernoulli and airflow, than at low altitude. The air is less dense, and an increase in speed doesn't produce a significant increase in mass airflow over the fuselage. The relationship you expect and know close to sea level and at low altitudes, is not the same at high altitudes. (To carry that thought to its rightful conclusion, if you were able to fly high enough, there would come a point that it really wouldn't matter how fast you were going, given the minimal air density; static pressure still wouldn't change and the airflow around the airframe would be insignificant to to low air mass/density. Air density decreases with an increase in altitude, or put another way, for a given volume of air, there's less mass. the pressure change one can expect in a fluid isn't just about velocity, but also density; you can have a relative pressure change by accelerating a fluid at extremely low mass or density, but the change is relative and largely inconsequential. All of that is food for thought, but also mostly irrelevant, because the two answers to your question that really matter are A) the static ports are located on the fuselage in a place where speed and angular changes make little difference and static pressure is nearly always neutral, and B) in high performance transport category aircraft, the pitot and static instrumentation is adjusted and compensated by computer, making variations due to speed changes mostly irrelevant. If you look at airspeed charts for any given aircraft, you'll find that airspeed errors fall within specific ranges. For example, an airspeed indicator might have a +/- error of 4 knots up to 110 knots indicated, then a +/- 6 knot possible error through 250 knots, then decrease to +/- 4 knots again above 250 indicated. It depends on the aircraft and this information can be found in the various flight manuals and performance data. It is hard to understand that. A)Does air moving over static port? B)If does ,why than pressure do not change,stay neutral? You want to say that exist place on airframe where airflow is 300km/h when aircraft speed is 300km/h,but if aircraft incerase speed to 500km/h the airlfow speed at that place will be still 300km/h? Airflow may move over a static port, but you need to understand that the rule you're trying to apply here may be the wrong application. Airflow moving fast does not necessarily equate to a pressure drop. It can, but I don't think you understand the principle, let alone the application. You need to understand that airflow over the airframe moves aft, moves in a circular fashion, and even moves forward, depending on where in the airframe one measure the airflow. Airflow does not more over the airframe uniformly. In some locations it moves the same as the free airstream, but in most places it's slowed, diverted, accelerated, stagnated, or altered from the slipstream. If this were not so, the aircraft could not fly. One of the jobs I do is aerial firefighting; I drop retardant on fires. The retardant doesn't just fall away from the airplane; it coats the airplane, leaving a clear marker as to what the airflow is doing; it shows that the retardant circulates in some places, blows aft in others, moves upward, and can spread and move spanwise. I've used video equipment under the aircraft and on various parts of the aircraft to document the retardant movement, which also clearly shows the airflow, and it's extremely varied, with multiple vortices that circulate. Areas in which retardant can be seen blowing forward are evident, and there is always retardant forward of the tank and tank doors. How did it get there? Not by blowing aft, but by blowing forward. Manufacturers test the airframe extensively to find the best place to put static ports. Again, some places have positive dynamic pressure, some negative, some neutral static pressure. Often these locations change with changes in aircraft configuration, but static port locations are places where the static pressure doesn't change appreciably with changes in speed, angle or configuration. Even with the ideal location, flight data computers are used to adjust and compensate altimeter and airspeed indications. With uncompensated systems, you will see a difference that must be corrected, and it's for this and other reasons that one needs to understand the difference between IAS, CAS, TAS, and EAS. in praxis it is hard to find.. But I if made my aircraft myself I never put static port on fuselage and drill 100 holes when I find this true static pressure postion which is not affected on airflow speed. My alitmeter will feel cabin pressure as static reference,this small aircraft leak air on 100 places so static pressure is same as outside, that way I will not have problems with erroros which gives angle of attack,change in airspeed ,slip etc.. The problem is that you are making assumptions that have no basis in the actual science involved. For critical thinking to work, the assumptions made have to have a basis in actual fact, not imagined fact. Take air blower or air compressor and blow air parallel to surface of fuselage where static port is, in same time let you friend read what altimeter will show. Alitmeter will show increase in altitude,because he feel low pressure from high speed air.But this error is small on lower air speed..
My question is not so stupid as you think,there is lots of people that ask this,but problem is I didnt know how to find position on airframe where airflow don not cause bernoulli effect and that this error is small on low speed.. So I think you must first learn and understand what bernoulli said long time ago. aircraft configuration, is called position error." Last edited by flight007 on Mon Feb 04, 2019 7:00 am, edited 1 time in total. It seems that everyone knows this but you. Your questions have become circular and it's clear you don't know what you're talking about, between drilling holes in airplanes and hair dryers by static ports. Hopefully you don't work on or around aircraft. It's unclear if your'e actually asking questions, or posting to lecture others here, but all of your conclusions and logic is incorrect, including your thoughts about placing a static source inside the aircraft. The answers have been given you, repeatedly. You don't appear to be listening. It's clear that you're here to lecture on things you haven't the slightest idea about. You've asked questions, which have been answered, repeatedly. I'm putting you on the ignore list, where you belong. As you know there is lots off small plane wich dont have static port outside on fuselage,(like Savannah S etc) ,their altimeters are open to cabin pressure. I know that cabin pressure is slightly lower than ambient pressure,my "plane" do not have static port outside so for me is easier to put altimeter open on cabin pressure than find neutral place on fuselage. Error with cabin pressure source (slightly higher indicated altitude) will be smaller than I put static port on wrong place on fuselage. So what I said wrong? You seem to be very insistent that everyone is wrong and that you have the answer to altimetry problems. The fact is, instruments to what they are supposed to do. In a Savannah S etc, an altimeter that just gets static pressure from the cabin is perfectly acceptable. Your chances of running into RVSM airspace with a Savannah is quite small when you think about it. There's also a difference in the accuracy expected from a non-type certified plane flying in VFR airspace, and an airliner flying Cat III approaches. The precision and accuracy for the different applications are accounted for in the different operations. You rightly stated something about instrument error and position error: That's why manufacturers spent a lot of flight testing to determine those errors, and correct the ADC's for it. You also get correction graphs for it so you can manually see what the difference is. On a C-130 it's a couple of knots.. and mostly not even consideration. I you depend on those few knots to for the difference between flight and stalling, you're doing something wrong already. A lot of smaller planes have an alternate static source in case of static port blockage. It then vents directly to the cabin, and you get a true-ish indication with a bit of a delay in the indications. Worst case, if you don't have an alternate source, you can break the glass on the VSI. It will also restore static air, albeit in the cabin, with aforementioned delay and the VSI reading in the opposite sense. Strangely, that trick does not seem to work as well in glass cockpits though. Next topic for discussion: the temp you see on the thermometer also isn't the true temp. Please,my intent was not to argue with members maybe may english is also problem because it is not my first language..
Today I took may altimeter which use for testing and recored video to easier explain what I am talking about..
Well ya. By the time an aircraft is certified, the altitude indications are completely understood and compensated for. Because of the error involved in displaying valid altitude data, in Flight Test, for static pressure data, we use a trailing cone that is 100'+ behind the aircraft so that our data is as reliable as possible and not effected by the static ports position on the aircraft. Production aircraft? It is understood that altitude data might be unreliable, and if the data is calibrated for existing static port mounting conditions, it is a compromise that works as far as providing a safe operational environment for the aircraft. You created a separate thread for your video. I posted there yesterday. Check it out. Hi: As already answere, the correct selection is NO, beside all said, there are, at least 2 systems, , static pressure from Right side and from left side, communicate between them, BEFORE reaching Air Data Computers, so an equalized data I enter the computer were, another parameters from IRS etc are been receiving and using for Altitude and Speed computation. Hi: May You please tell us wich airplane use this system? May be a GA? As explained, must of planes have two side by side static pickup. And, even a third, located generally inside NLG bay, to avoid such interference. This third port may not be used when Landing Gear are selected up or down. I will answer here becuase this thread is dead. For sure calibration is good to have. 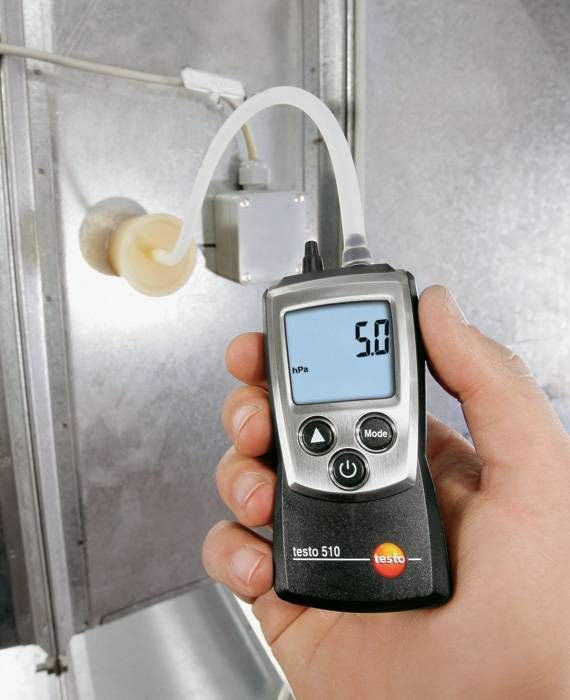 I have testo 511 ,this is instrument that meassure apsolute pressure/barometric pressure.It has one conection that is open to atmosphere or you can connect on it static tube. Static tube use for meassure static pressure where air has velocity,pipe,tube,open airflow,etc. It has resolution of 10 pasacala so it is very sensitive. example ;if instrument show 1020 hPa on sea level and than get up on tree which heights is 8,3m above sea level ,instrument will show 1019 hPa. I put a 3 test static ports. Fly above lake approox 15m to avoid ariflow behavior at ground affect then accelerate from 75km/h to 180km/h.I try testo511 on each static port to find minimal change in barometric pressure. Normally testo511 allways show some change in pressure even airplane is on same altitude ,becuase airflow allways have some effect on static port,It can be positive or negative depending where is position on fuselage..Peopel allways forget that do not exist contactless pressure meassurment,so pressure sensor allways in contact to airlfow. You can manipulate barometirc pressure with putting obstacle infront or behind static port. If you put very small obstacle infront static port you will introduce lower pressure on port so testo511 will show lower pressure(higher altutude). I find most accurate when I put testo static tube infront nose but even that small error in pressure exisit,becasue airlfow allways distrub. It is practically imposible that testo511 will not show any change in pressure when airspeed increase ,even testo static tube is factory produce for this purpose. Like 747Whale said bigger/faster airplane have flight data computer ,that compasate that erros. 8.3 meter is small error at 180km/h so I am satisfied with that..
holse must be 3-5 diameter behind nose to aviod "nose wake"
holse must be 8 to 20 diameter infront of 90 degrees carrier to avoid high prressure that produce carrier. changing position of holes on static tube you can manipulate pressure which produce nose wake and carrier,put in neutral postion..
static tube,rember this is not pitot tube ,tube end is closed,it only have static ports holes..
this is testo511, it has only one port for connection,reference pressure is vacuum bacause he meassure apsolute/barometric pressure..